When was the last time you walked down the street in Idaho Falls and picked a doctor just by looking at their sign? What about a lawyer, or even found a specific product by just trying each store one at a time? This probably didn’t happen any time recently. The point is, most potential customers and clients find the service or product that they need by looking it up on the internet first. Your website is your virtual shop window, so it is important that you get noticed by the search engines. This is where an SEO focused digital marketing company comes in. 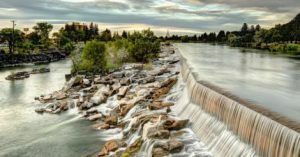 So what can an Idaho Falls SEO company do for you? The most important way to get noticed by potential clients is to be where they are looking. It’s not enough, or even relevant in some cases, to have a storefront anymore. What you really need to do is get ranked on the first page of a related search. This means that you need to have keyword rich content on your website and throughout your social media pages. A local SEO company consultant will be able to research the best keywords that will get noticed the most by potential clients and has low competition so that you can be sure to rise in the ranks with each succeeding week. One of the most beneficial services that a digital marketing agency can give you is statistics. Gone are the days that you would pay for a billboard and just hope that enough people who need your services would pass by and notice it. Now you can tell exactly how many people are clicking on your content and you can watch your rankings rise. A local SEO consultant can give you information on how your social media platforms are affecting your digital marketing strategy as well. You will get frequent reports of exactly how your digital marketing expert is performing. Your marketing investment has never been so transparent. Does it ever feel like once you’ve mastered one aspect of marketing, the whole game changes? This is the nature of the beast, and this is why it is important to have an expert digital marketing consultant who makes learning and implementing organic SEO services a full-time job. It can be nearly impossible to run a business and market yourself successfully at the same time. In this age where technology seems to be continually changing, it is relieving to have a local SEO consultant on your side who stays up to date with new strategies. It’s also important to have a consultant who networks with other like-minded experts who keep each other in the know. Your Idaho Falls SEO digital marketing agency knows that there is no one-size-fits-all solution to your ideal marketing package. 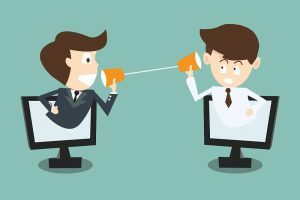 For this reason, your local SEO consultant will be able to talk directly and regularly to you to make sure you are on the same page and that you are getting exactly the kinds of services you need. Of course, it can be difficult to know what kinds of services will be most beneficial if you aren’t in the business of digital marketing. Your expert consultant will be able to discuss exactly what your business needs to boost your rankings. Together you will be able to decide what the perfect marketing plan would be for your company. Boosting your SEO ranking doesn’t always happen overnight, though with the right consultants and in the right market, you will be able to see improvement quickly. One of the things that search engines look for is longevity and consistency in your websites, and that is why a longterm partnership with a digital marketing agency can be so important. The process to a higher ranking is not a one-and-done algorithm. With many players in the game and high competition between other similar businesses, you need to be on your A game at all times. An SEO company will take a personal interest in the success of your business and will ensure that you are seen by your ideal target audience through regular weekly or monthly services. Your SEO expert will not only take you to the top tier of your keyword search rankings, but your consultant will also keep you up there. You might have your sights set on the highest ranking entry on the most popular search engines, but did you know you could aim even higher than that in your digital marketing? Your company, depending on the competition and available keywords, could exert dominance over multiple entries on the first page of a search engine. Wouldn’t it be awesome to not be the top choice, but the top two or three choices? Just imagine how much trust your potential clients and customers would have in your company when they see that you are far and away the highest ranked option for the service or product they are looking for. And with that trust, you will gain returning customers and referrals. One of the best aspects of digital marketing through organic SEO is that you are reaching your target audience a majority of the time. If you were to take out an ad in a magazine, on the radio, or television, you might get a handful of people who are interested in what you are promoting. However, many people now are desensitized to obvious promotions. In fact, Millennials are some of the most untrusting of advertising tactics out there. They put adblockers on their browsers, pay for ad free radio, and stream online movies and shows to avoid commercials. So what is the best way to reach this section of the country that only make up one-quarter of the population but make up a majority of all sales? SEO is the absolute most effective way to organically advertise to people. Organic SEO is basically stealthy marketing. 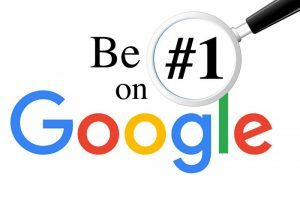 You have your business ranked on search engines so that your clients and customers will actually search you out instead of the other way around. As long as your keywords are relevant to what your target audience is searching for, your SEO consultant can drive not only customers but interested customers to your site. Social media is a tool than anyone in marketing would say is a worthy platform for digital marketing. If you have several different handles for your business across Facebook, Instagram, or Twitter, you are doing well. If you have a website with a blog, or at least relevant content, you can link throughout all of your platforms. This will boost your overall presence and make you appear more popular on SEO. This is a good example of an organic SEO strategy. About 74% of people participate in social media on a daily basis, so this is a perfect spot to link back to your own website. 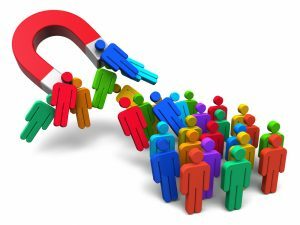 Draw people in to your business site by adding content that people will be interested in. Social media is also essential for this days market because many people are looking for more than a product or service. They are looking for a connection and trust. Customers like to follow brands and personalities on the platforms that they participate in. Since you cannot be sure which social media platform contains most of your specific target audience, it is important to have a presence with as many as possible and cross reference your blog posts on each one. It might seem hard at first to have an interesting and well thought out post on each of your handles regularly. However, you will find if you have a steady blog post you will have the material you need to post about on each platform. Now, here is something that sets Benji Marketing apart from the rest of the many digital marketing companies that focus on SEO: this company cares about communication. If you aren’t the most tech savvy person out there, it can be uncomfortable negotiating with these terms. How do you know what kind of marketing services you are getting if you don’t know the vocabulary that they are using? Benji Marketing always makes sure that you are at ease in your communications. They will talk to you at the level that you are at and will never make you feel small for asking questions. You can be sure that you are in good hands, not only because Benji Marketing knows what they are talking about, but also because you know what they are talking about. What have been some of your Idaho Falls SEO marketing challenges? Have you tried search engine optimization on your own and just gotten frustrated, or found that you didn’t have the time to be consistent? What are some of your long term and short term goals for your business? Benji Marketing would love to hear from you and discuss any of your SEO-focused digital marketing plans.